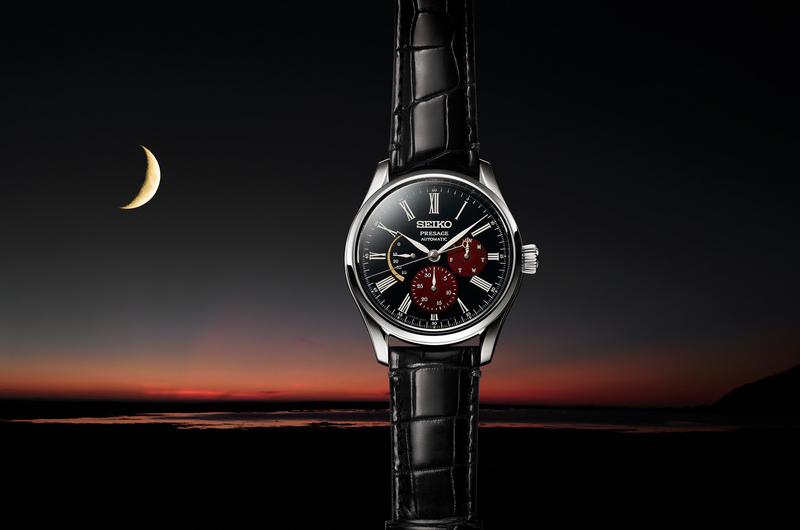 Seiko recently released info on a new limited collection of black PVD plated steel watches called The Black Series. Within the collection are two solar quartz powered watches and one automatic model. 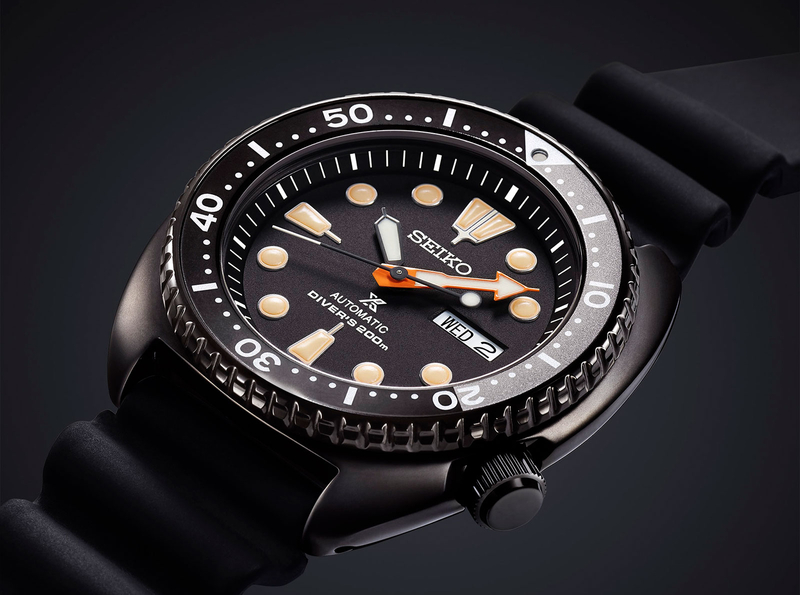 The Seiko Automatic Black Series (SRPC49K1) comes in a 45 mm diameter Turtle case and is expected to cost approximatey $550. 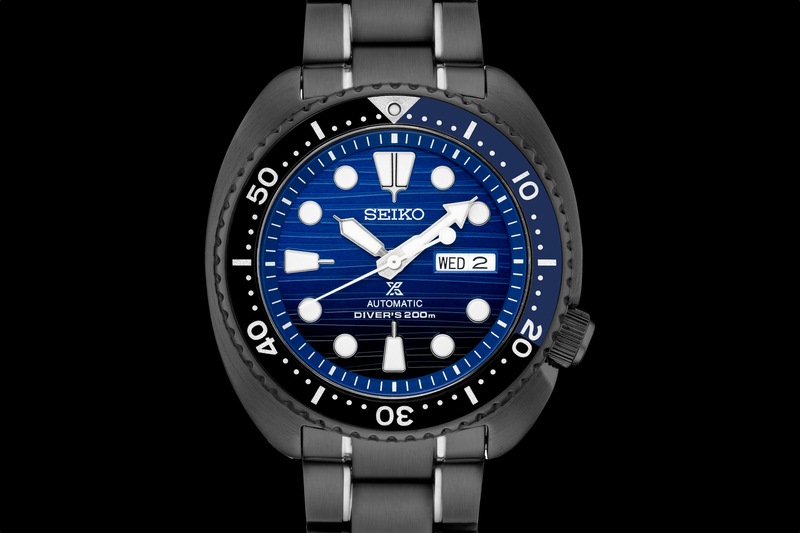 The *Seiko Solar Black Series* (SNE493) is a three hand solar powered quartz dive watch and the (SSC673P1) is a solar powered quartz chronograph. 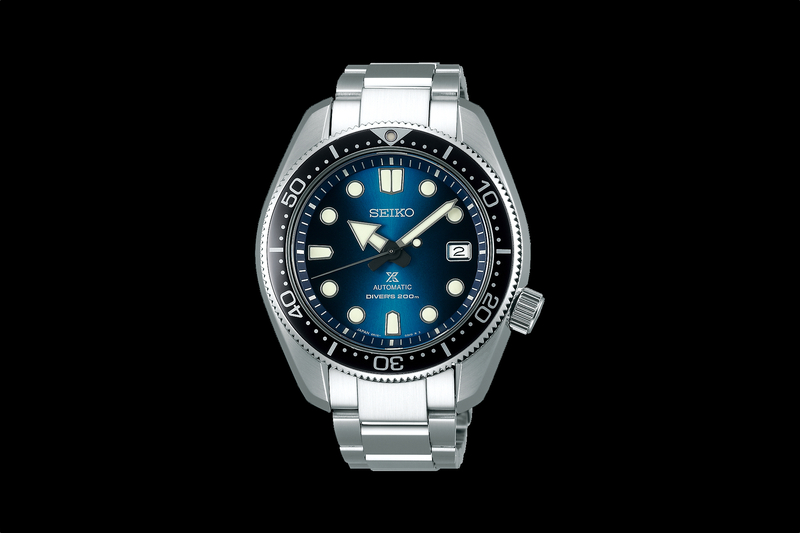 Both come in a 43.5 mm stainless steel case with a black PVD coating and should retail for under $500.